From herb gardens and heirloom tomatoes to perennial and annual flowers, gardening season is a big dill deal for plant-lovers across the world. With the joys of gardening often come many associated costs, such as expensive, fancy plant pots! 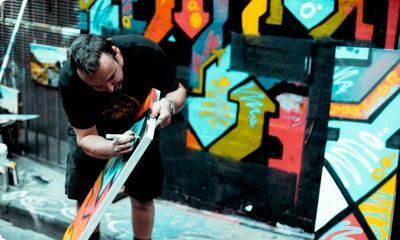 Here at Product Care Recycling, we love letting our creativity shine with simple around the home DIYs—especially when they’re paint-related. 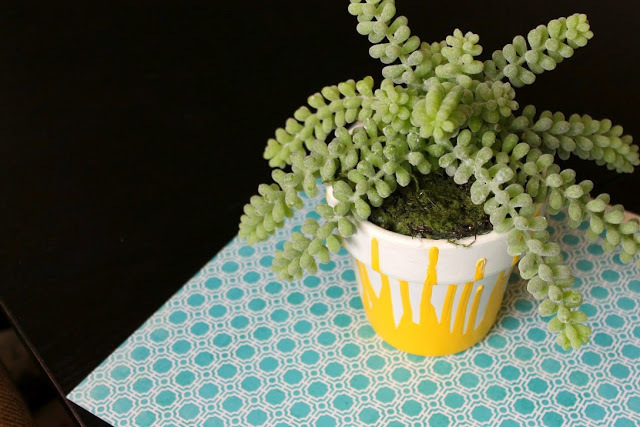 Save money and paint plant pots for your backyard and indoor gardens…and have fun in the process! And remember: if you need paint for large plant pot painting projects (say that five times fast! ), you may be able to pick up high-quality, pre-loved paint for free through our PaintShare program in British Columbia, Saskatchewan, Ontario, Newfoundland & Labrador and New Brunswick. Put some newspaper down in your workspace. We suggest picking a spacious counter or long dinner table. Clean dirt and dust off the pots you want to paint (even new ones!) by scrubbing them under warm water with a small dot of dish soap. Let them dry for 24 – 48 hours before moving on. 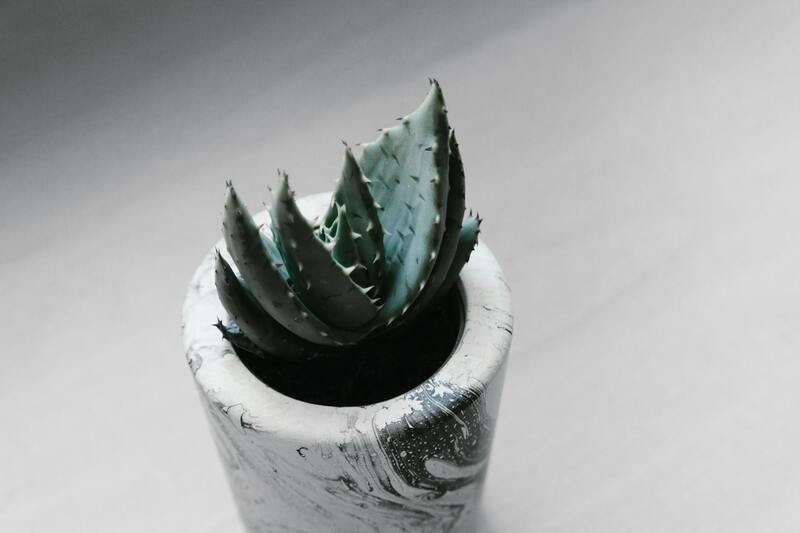 Optional: if you are potting plants that love moisture (think prayer plants or maidenhair/bird’s nest ferns), we would suggest coating the inside of any pot you use with waterproof sealant. Terracotta pots are porous, which means that soil usually loses moisture and dries faster in pots of this material. Apply 1 or 2 coats of primer to your surfaces to get them ready for painting. Allow time for them to dry thoroughly before you start working on your plant projects. 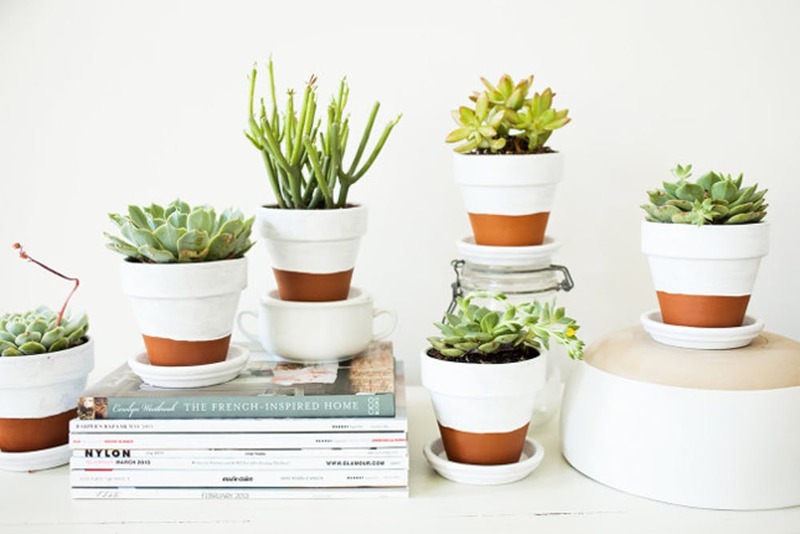 Keep things minimal and chic with white-washed pots. White-washing pots is easy and only requires white paint—no primer is necessary! These painted pots are charmers when placed on wood surfaces like unpainted patios or an old wooden table. 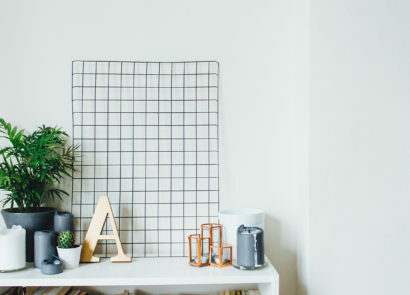 White colour blocking is an alternate option if you still want to retain some of the pot’s rusty terracotta brown. Paired with hen and chicks or some Sedum spp. 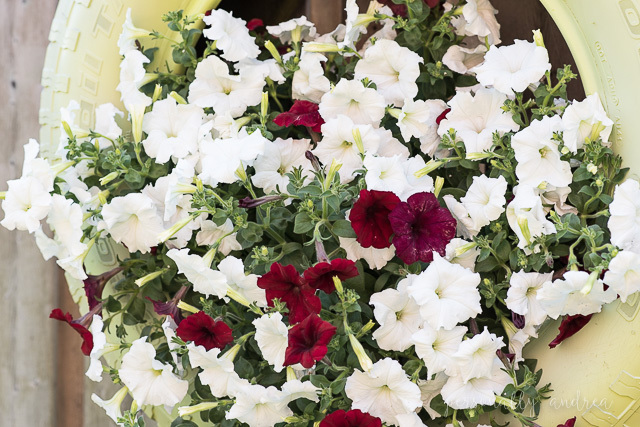 plants, you can’t go wrong with these planters on your doorstep or on flat entryway railings. Whether you stick with earthy tones or get creative with your colour, dipped painted pots can add a playful touch to your backyard or patio. 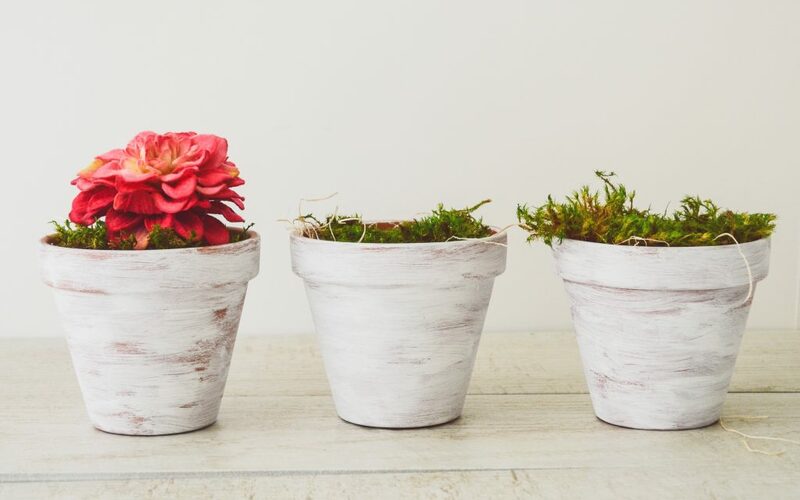 Simply place your primed terracotta pots upside-down and drip paint along the sides until your heart is content. We’d recommend family involvement for this project—this a craft your kids can’t say no to! Looking to take paint dipped pots to the next level? 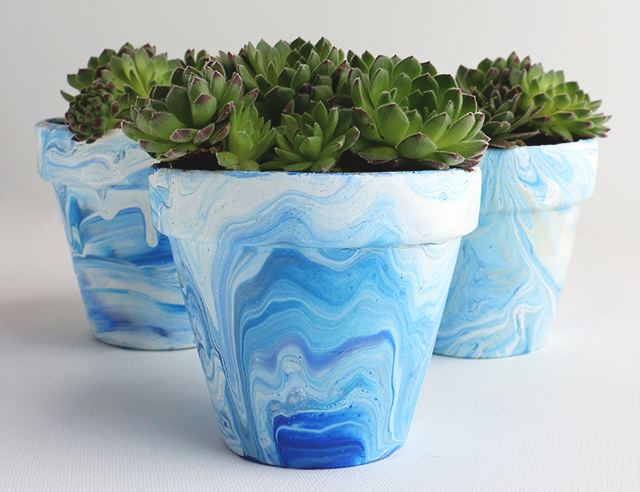 Give your terracotta pots serious texture by marbling them—all you’ll need is your paint colours, a paint brush, water, and some spare containers. There are tons of colour combinations that look great marbled together—try a sunset (light pink, orange) or amethyst (dark & light purple) theme if you’re stumped on picking colours. Don’t have spare planters? Make tire planters! 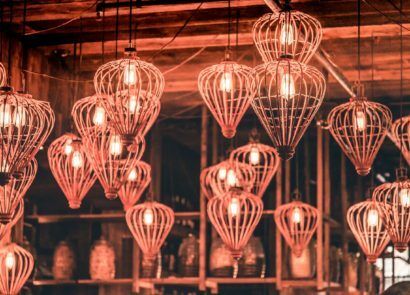 Going for the shabby chic or boho aesthetic? 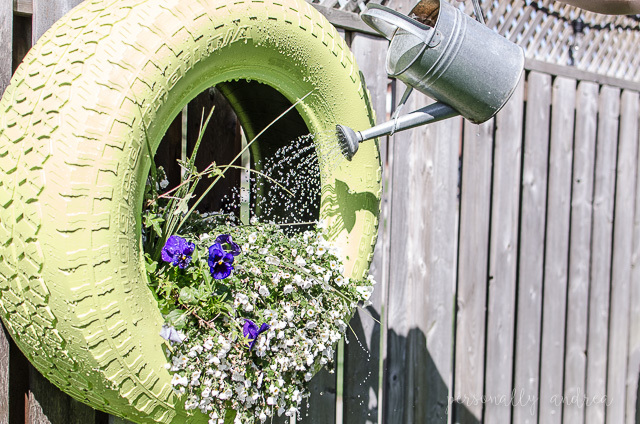 Repurpose your old tires with these easy to paint, on-trend tire planters. The hollow insides between the tire rims create a natural and semi-enclosed place to plant flowers in—we suggest bushier plants like bushy asters or pansies to create a full look. You can also stack tires on top of each other to create colourful vertical tire planters for vegetables or other flowers of your choice. Have a black thumb? 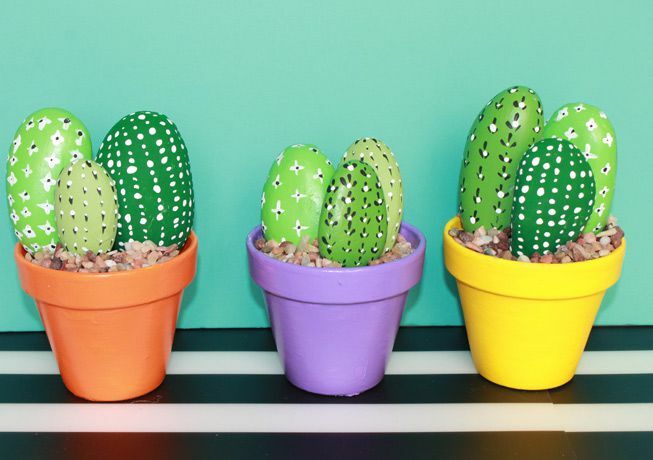 Paint a cacti garden! That’s right! The pet rock has been reinvented for our garden spaces. Best for the busiest of us, cacti rock gardens look just as nice as real plants—with no watering required! Pick up a few small flowers from your local craft store if you want to add a pop of colour to your newest rock friends. 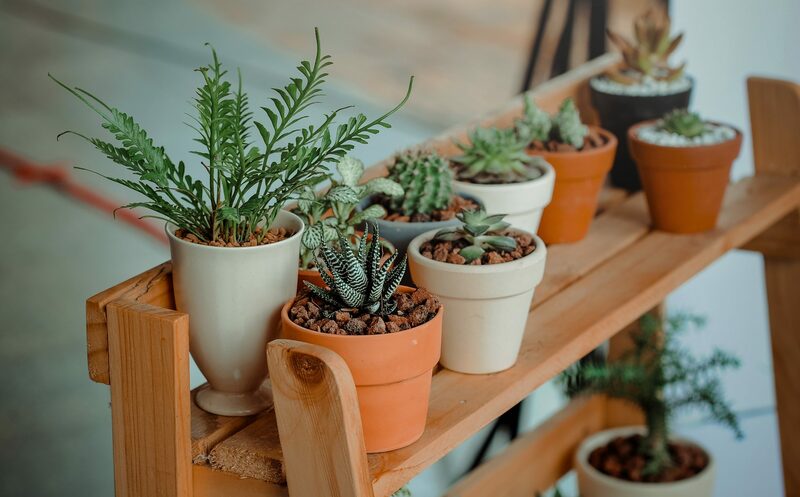 If you don’t have any space for outdoor plants, check out our tiny indoor garden ideas for your apartment or other small space! Also be sure to bring your leftover paint to one of our collection sites once you’re done your projects to ensure its recycled or even reused by someone else. 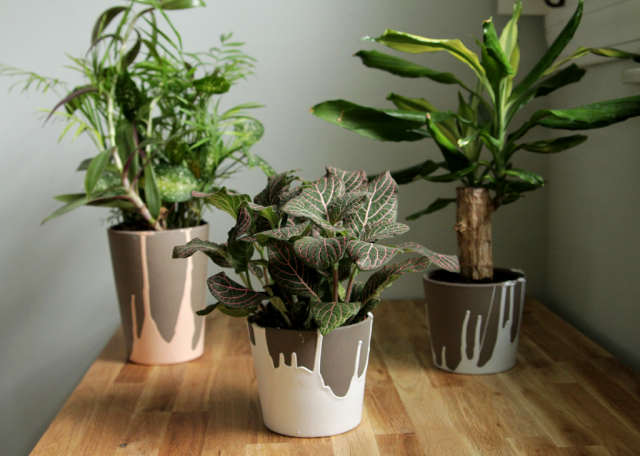 Paint plant pots this summer and have fun, plant lovers!